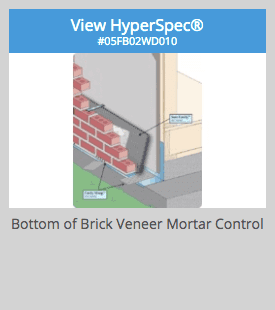 Better Brick Mortar Control is Better Moisture Control | Masonry Technology, Inc.
Cavity masonry construction is rooted in a theory of moisture control by draining water to the exterior. Mortar deflection devices claim to hold mortar above the weeps, and most accomplish this. However, the problem is just moved up the wall. The mortar dams up the cavity, limiting drainage and ventilation. Cavity masonry construction must not simply hold the mortar above the weeps but rather ensure a clear moisture drainage pathway behind the entire veneer. 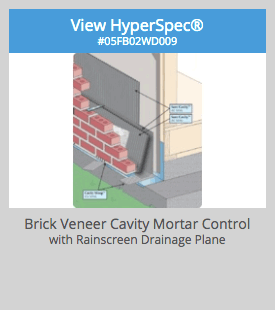 Cavity masonry construction must not simply hold the mortar above the weeps but rather ensure a clear moisture drainage pathway behind the entire veneer. Mortar that bridges the masonry cavity can lead to moisture transfer and degradation of materials. MTI's Mortar Control System addresses these concerns and provides proven protection for wall systems. MTI’s Mortar Control System features two components: the Sure Cavity Drainage Plane and the Cavity Weep weep system. Sure Cavity features “True Channel” drainage technology with clear, rigid channels that quickly and effectively drain moisture and ventilate the cavity. The Sure Cavity ensures ventilation across the entire backup wall that cannot be clogged with mortar squeezings. Sure Cavity's mortar-blocking fabric ensures that the drainage channels stay clear and is permeable so that moisture can drain and the cavity can dry. 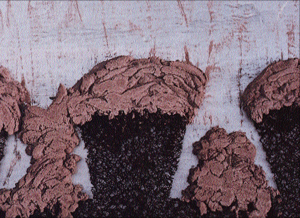 A course of Sure Cavity angled at the bottom of the wall system provides an extra level of protection by holding mortar droppings away from the weeps and preventing mortar from bridging the cavity. MTI’s Cavity Weep creates four weep holes every 9.5 inches and drains directly on the flashing, the lowest point of the wall system. Cavity Weep's translucent plastic blends with mortar for a superior appearance. MTI’s moisture management systems protect sensitive wall components and reputations. Sure Cavity and Cavity Weep form a system that meets code standards 2015 IRC R703.1.1 Water resistance and 2015 IBC R1403.2 Weather Protection. Design for Better Drainage. Build Sustainably.